This definitely looks like the end of the world to me. 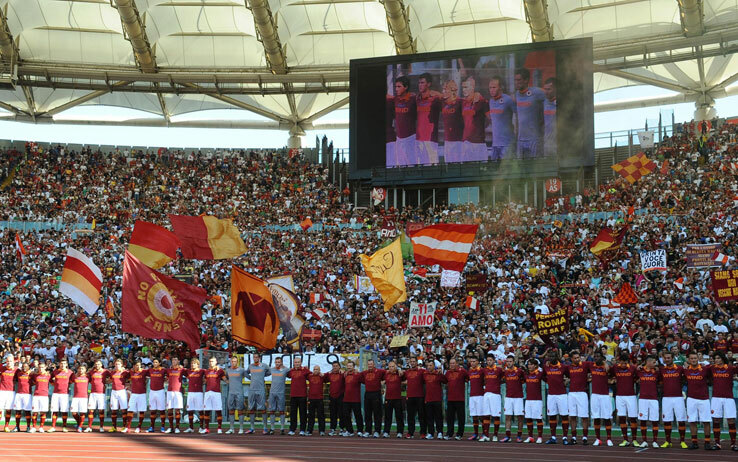 Zeman’s Roma are a sight to behold. In fact, in another time, they might have been worshipped by the Mayans. They started the season with goals galore… on both ends of the pitch. But slowly, they’ve managed to find a bit of defense, too, so maybe it is the end of the world. So you have two choices: hide in a bunker with your hoardes of supplies, or go out and indulge in debauchery like it was 1999. Or Y2K. Or any other time you thought the world was ending. Personally, I’ve got some debauchery to catch up on. 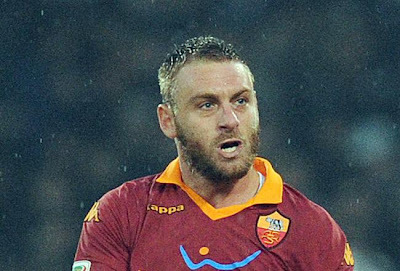 Roma are coming off of a 1-0 loss to Chievo, where a Pelissier goal in the dying minutes took from them what they thought would be a draw (or maybe they believed this end of the world stuff and just didn’t care, you’d have to ask them.) Prior to that, though, they had managed four straight wins after painfully losing their derby 3-2 to Lazio in typical derby style. At the end of it all, they are only 2 points above us on the table. So this match, if it weren’t scheduled for the day after the end of the world, would be really important. Good old leather-face-smokes-a-lot (that’s Zeman to those of you who don’t speak Mayan) lined up I-dare-you-to-spell-my-name-right-guy (aka Goicoechea); That One Brazilian Guy (aka Castan), That Other Brazilian Guy (aka Marquinho), Il biondo dei miei sogni (aka Balzaretti), Paraguayan Import (aka Piris); Token Greek Guy (aka Tachtsidis), The Kid (aka Florenzi), Voldemort (aka Bradley); The King of Rome (aka Totti); Red Card with a Pony Tail (aka Osvaldo,) and The Bosnian Bomber (aka Pjanic) vs. Chievo. There have been a lot of rumors about The Man (aka De Rossi) and old-leather-face-smokes-a-lot. Another shame about this whole world-ending thing, because those rumors of him coming to Milan just never get old (insert long pause for daydream sequence here.) That Other Brazilian Guy is apparently injured, and there may be other key players missing. Well of course, they’ll all be missing after the world ends, so really this bit is irrelevant. Now on to the best news of the day: Whiny Annoying Guy (aka Allegri) will finally no longer be Milan’s manager. Of course, it will take the end of the world to accomplish this feat, but it is some solace as we all race speedily to our demise. And you had to know it was the end of the world when we had a record 27 players in training for the first time this season on Thursday. (That is the ultimate proof that the world is ending.) With so many players to choose from, including the perennial I-want-to-kill-myself-when-I-see-them-in-the-lineups Mr. One Goal Wonder (aka Bonera) and I-don’t-even-know-how-I-got-here (aka Antonini,) we can only hope that Berlusconi dictates his lineups very carefully when he comes to Milanello later today, after the end of the world. Doh! 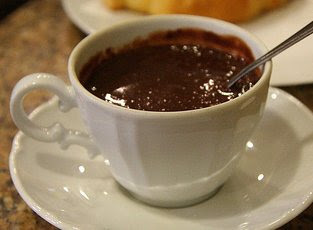 Chocolate you can drink. One out of three ain't bad. If you still have any doubts, consider the sheer genius of the Mayans: they were the first to make a chocolate beverage for drinking. That is all you need to know. So if we all survive whatever ill-advised, wrongfully interpreted, world-ending fate that is just hours away, I will toast the Mayan genius with a cup of hot chocolate and start focusing on an even bigger fear: playing Roma at the Stadio Olimpico. For some reason, this one always frightens me, even if our last three outings there were a win a draw and a loss. Maybe it’s just old-leather-face-smokes-a-lot. He is pretty scary looking, right? Or maybe it was what happened to Cassano on the way home from Rome last year. Whatever it is, I don’t like it. And the sooner we get this match past me, the sooner I get to open my Christmas presents. Or whatever. *Note: The liberties taken within this post were intended for an end of the world scenario. In the event that the earth keeps spinning beyond the interpretation of the Mayan’s prediction, I claim insanity and thus cannot be prosecuted as per Berlusconi’s laws. I will in no way accept any responsibility for any offense taken nor those of you who choose to believe a word I typed. This match will be broadcast LIVE on RAI in the U.S.